Video games are expensive to make. Doesn’t matter if you’re a massive publicly traded entity like Electronic Arts with studios spread across the world, or a solo indie dev plugging away at a passion project in your bedroom late at night, you still need the gear to make the game. It costs hundreds of dollars at least just to get a regular old PC capable enough to let you scrape together a Unity-based game to get in front of the masses, and that doesn’t count paying for electricity, a net connection, as well as, you know, food and shelter. No wonder people tend to make games that appeal to as many people as possible. When you’re trying to make money on games, they only way to make it back is to sell it to everyone, whether they’re in the Altoona, Pennsylvania or Baku, Azerbaijan. The need to cater to the masses doesn’t result in homogeneity, though. That’s the best thing about humanity. Even as we seemingly shrink the world with technology, we remain marvelously, obstinately diverse. The same goes for our gaming habits. Jetsetter, Digital Trends’ weekly column exploring the international world of video games, does its damndest to illuminate what’s going on in the gaming world that the average American player may not know about. Here’s what’s going on, coming out, and getting played around the world right now. 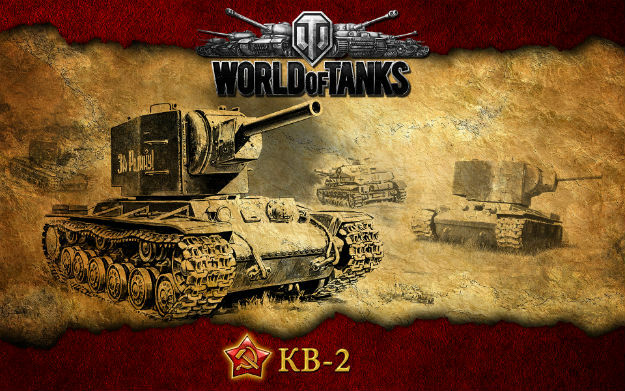 World of Tanks’ studio goes to war over Chinese copycat. Wargaming.net is one of a select few heavyweights in the new economy of free-to-play online video games. Ubisoft, Activision, and their ilk have ruled the gaming world with games you’d buy at a store for years, but none of the big publishers have ever enjoyed an audience for a single game quite like Wargaming.net enjoys with World of Tanks. At the end of 2012, there were 45 million people out there playing World of Tanks; to put that in perspective, World of Warcraft peaked at around 12 million in 2010. No wonder Wargaming.net is miffed about Chinese developer Gamease Age Technology and Changyou.com’s Project Tank. Split into two separate games that are more or less the same, Ground War Tanks and Tanks Ground War, Wargaming.net has filed a lawsuit accusing the Chinese companies of copyright infringement. As noted by Gamebox (via Polygon), Changyou and Gamease’s games are “unoriginal and disturbingly similar” to World of Tanks, flat out copying the plot, art, settings, and even the user interface for the game. They even went so far to replicate historically incorrect aspects of World of Tanks, demonstrating what a cut and paste job the game really is. Gamease, meanwhile, calls the lawsuit just one more of Wargaming.net’s “underhand” actions, and that World of Tanks’ creator has “bullied” the Project Tank effort. PlayStation creator Ken Kutaragi joins up with Marevelous AQL. Ken Kutaragi was the lead engineer at Sony Japan behind the PlayStation, the PlayStation 2, and the PlayStation 3. During his time at Sony, he earned a reputation as one crazy computer jockey. He claimed that the PlayStation 3 was going to be so awesome people would want to work two jobs to afford its $600 price tag. His grand vision was to have every PlayStation over a century of future releases be backwards compatible with the one that came before it at a hardware level (a dream the PlayStation 4 has killed dead.) When the PlayStation 3 flubbed its 2006 debut, selling low due to its insane high cost to purchase and manufacture, Kutaragi fell out of favor. The former Sony executive has a new home, though: Marvelous AQL, the Japanese developer behind beloved cult titles like Harvest Moon and import-only oddities like Senran Kagura (for those that don’t know, Senran Kagura is a 3DS beat ‘em up about ninjas with enormous breasts. Yes, really.) Good ol’ Ken will be the company’s new “External Director” according to a report in Nikkei, which means he’ll be helping Marvelous expand its operation outside of Japan. Marvelous is already expanding rapidly this year. The company recently announced that American publishing house Xseed, itself responsible for rescuing several odd imports for release in the West, is now a wholly owned subsidiary known as Marvelous USA. Hopefully Ken won’t insist that they start releasing thousand dollar games that people will have to work three jobs to afford. Dude is nuts. 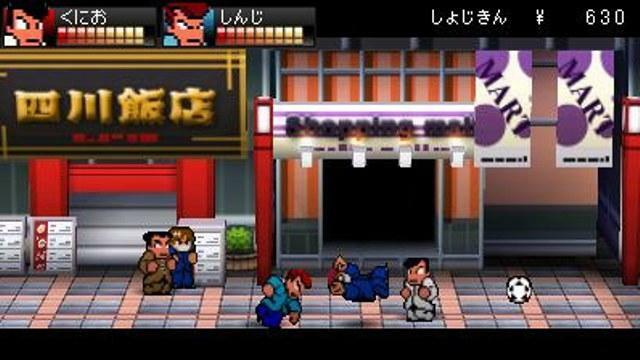 Guilt Gear and BlazBlue studio gets to work on its newest successor to River City Ransom. Wander the vast halls of the Internet and you’ll still hear, in hushed, reverent tones, people talking about the great old NES game River City Ransom. It was pretty weird. You controlled some little ‘50s greaser looking dude as he wandered around a city, beating up high school kids, eating burgers to raise his stats, and saving chicks. As you can see from the description, there’s a reason that people loved it so much. What you might not know, though, is that it’s just one game in a series that’s kept coming back over the years – just not in the United States. (The only other entries to make it out here were games like home ports of Rampage and Super Dodge Ball.) The Kunio-kun series as its known abroad has continued on down the years, proudly being weird as hell. Arc System Works, the crew behind lush 2D fighters like BlazBlue and Persona 4: Arena, is working on a new entry for Nintendo 3DS right now. Its title translates as Hot Blooded Tough Guy Kunio SP: Fighting Concerto according to Siliconera. No that’s not a joke or a parody. That’s really what it’s called. Series mastermind Yoshihisa Kishimoto, who based the whole thing on his rough and tough high school days in the ‘70s and ‘80s, is writing the story. The Nintendo 3DS is always a crap shoot. Plenty of weird games cross the Pacific, but plenty more stay in Japan. Hopefully Hot Blooded Tough Guy Kunio SP isn’t another Senran Kagura. The name alone makes me want to play it.